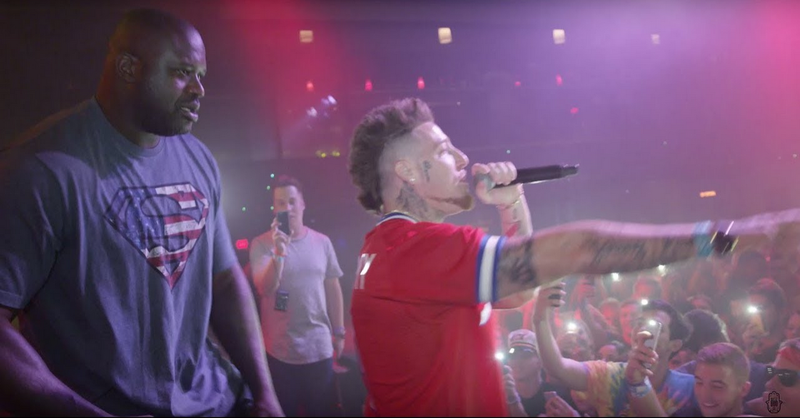 NBA Hall Of Famer Shaquille O'Neal and recording artist Bezz Believe join forces in their smash single "Herculeez Remix". The song is estimated to do some of the largest numbers in Hip Hop history. Shaq and Bezz Believe on The Set Of "Herculeez Remix"
"This Collaboration could lead to millions of dollars in revenue, possibly billions"
Boasting a platinum selling album, four NBA Championships, fifteen All-star Game appearances and numerous box office movie roles; there is not much the legendary Shaquille O'Neal can't do. Seems Shaq has taken on a new position these days-- "Music Mogul." 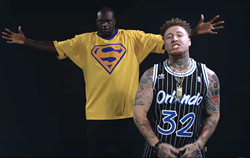 After stumbling across Florida based recording artist Bezz Believe's music video "Herculeez;" Shaquille O'Neal knew a hit when he heard it! He immediately reached out to the artist and asked if he could put a verse on the song, which later became the official "Herculeez Remix". The two have been working closely ever since; rocking multiple shows together throughout the United States. Bezz even put his basketball skills to the test. Can you believe he challenged the 7 footer to a free throw contest for $30,000!? 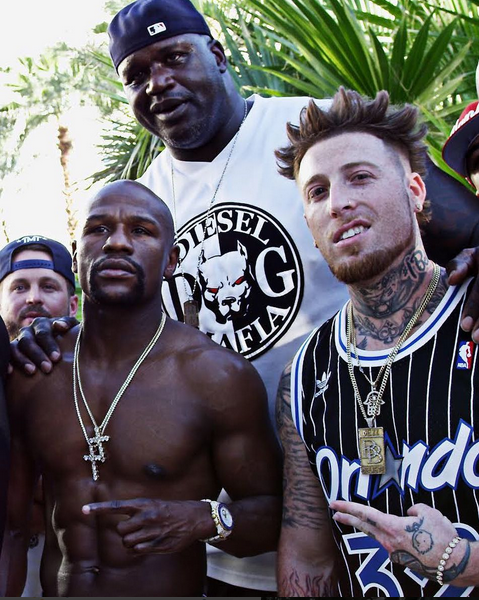 The rapper came out on top and being a man of his word, Shaquille coughed up the earnings. "Herculeez Remix" is projected to be one the biggest songs to hit charts in years. The music video that was shot at Full Sail University in Orlando has already began to have a viral effect! Seems anything O'Neal touches turns to gold, or should I say platinum. This truly was a genius business venture!